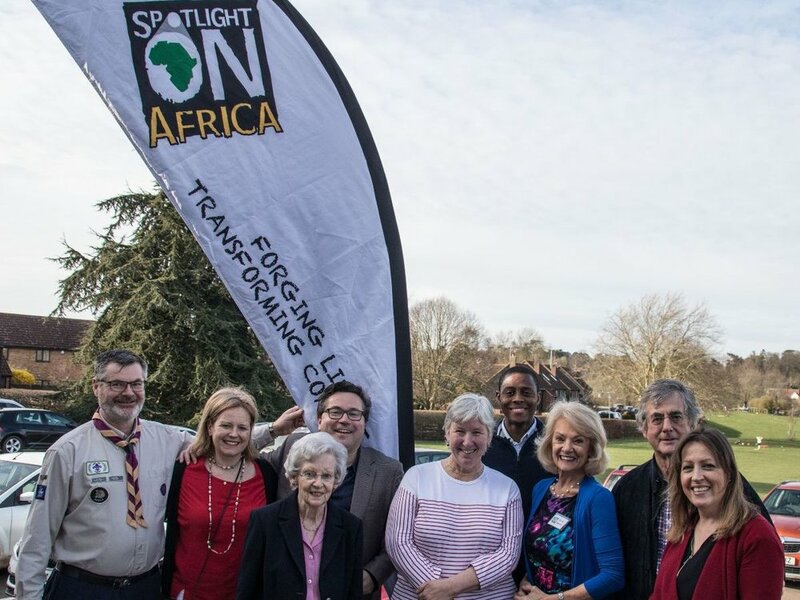 There was a great buzz last week when some 60 supporters and friends of HSoA gathered for a Coffee Afternoon with Bim Afolami, MP for Harpenden and Hitchin and Patron for Spotlight on Africa. 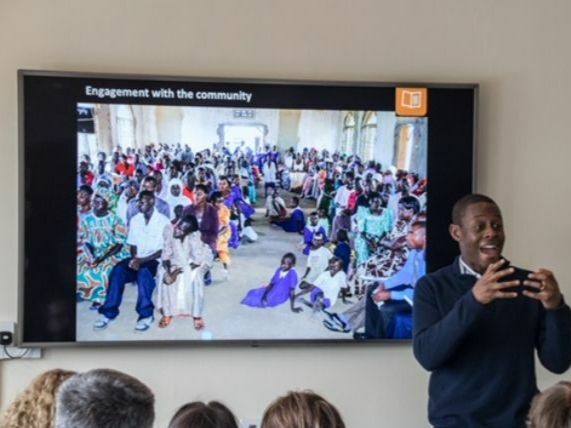 Bim gave a presentation on the latest developments of our tailoring and carpentry classes, the recent graduation ceremonies and the successes of the new Health Centre which has treated over 56,000 patients since its opening in November 2017. Warm thanks to everyone that attended and all those who donated the delicious cakes provided on the afternoon - helping to raise £550. Thank you to everyone who cam along to our Indian Supper Night on 4th March at Cafe Jeera. We raised a magnificent £1,051! Join us for a magical and fun-filled evening at Spotlight on Africa’s Midsummer Night Ball 2019. Tickets may be booked for parties, of any size. More details below and please contact Minal Patel on 'ball@hsoa.org.uk' or 07817 387747 to book your places. Golf Day - Date set for 2019! Please put Thursday 26th September in your diaries for our next Golf Day! Further details to follow. Join us on Tuesday 2nd October 2018 at Aldwickbury Park Golf Course for our annual Golf Day and Dinner. Contact Rory Scales for more information: rscales2004@yahoo.co.uk or 077468 19611.